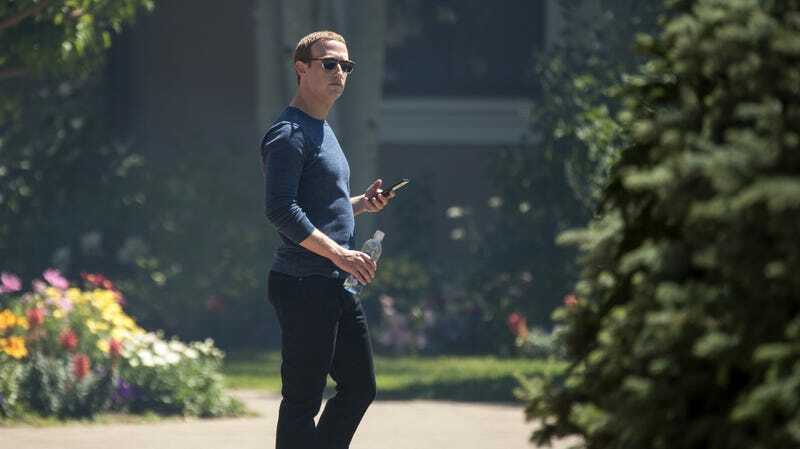 Reuters reported that a federal judge in Fresno, California sided with Facebook, though the proceedings are still sealed and the reasoning behind the ruling remains unclear. However, the news agency added that telecommunications law requires telcos and phone companies give access to phone lines to authorities with a warrant but exempts “many apps that rely solely on internet infrastructure” like Messenger, which runs over cellular data connections or wi-fi. The details of his reasoning were not available... An affidavit by an FBI agent filed publicly in the Fresno criminal proceedings said that at the time of the arrests, law enforcement could not monitor any Messenger calls. Many details about what exactly the government was seeking are unclear. As the Verge noted, regular conversations in Messenger including realtime voice calls are not protected by end-to-end encryption, a security feature that ensures only the devices sending or receiving the data can decode it. (One reason for this is that Facebook scans messages for advertising purposes.) However, there is a Secret Conversations feature that enables end-to-end encryption for messages as well as photos, videos, and audio files, though not actual calls. There had been speculation that this is what authorities wanted to gain access to, though in a public affidavit submitted on August 30th, 2018, an FBI agent wrote that they were seeking access to Voice over Internet Protocol (VoIP) calls, referring to the realtime calls. Reuters previously reported that Facebook’s position is that it would have to either rewrite its encryption code to install a surveillance backdoor—something that would threaten the security of the whole platform at a time when Facebook is already experiencing numerous privacy crises—or “or else [hack] the government’s current target, according to... sources.” While some previous rulings have forced telecoms to allow wiretapping of some VoIP systems, those “chat, gaming, or other internet services that are not tightly integrated with existing phone infrastructure” are generally exempted, Reuters added. That the battle involves MS-13 is notable, because just like with Apple’s legal battles with the FBI over iPhone encryption in the wake of the San Bernardino mass shooting in 2015, the government picked an ideal villain to test the limits of their surveillance options. Donald Trump and his administration have denounced the gang as “violent animals,” which the Washington Post fairly characterized as a pretext to pretend “there is some subset of a massive population of people who are so depraved and dangerous as to be animals necessitating a massive and occasionally violent response.” In other words, it looks an awful lot like authorities chose the least sympathetic defendants possible to expand their surveillance envelope in ways that have ramifications for countless millions of Facebook users. More details on what is going on should be available down the road, though for now it looks like the feds have again failed to coerce a company into compromising its security. Not that Facebook needs any help with that: The company disclosed this week that a massive security breach may have given hackers access tokens to tens of millions of accounts in what might prove to be the biggest security failure in its history.